This beaded necklace is a beautiful blend of purple and lavender. This necklace is adjustable and can be worn from 27 to 28 1/2 inches. A matching pair of earrings complete the set. For some reason we always seem to have trouble catching the true color purple on our scanner. 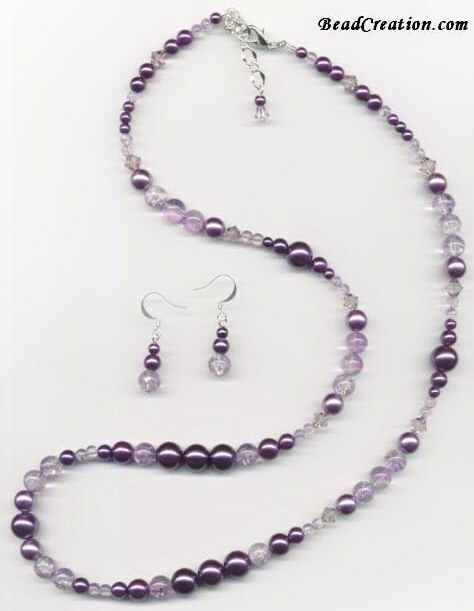 The best representation of the purple beads in this necklace we were able to display for you is shown above. 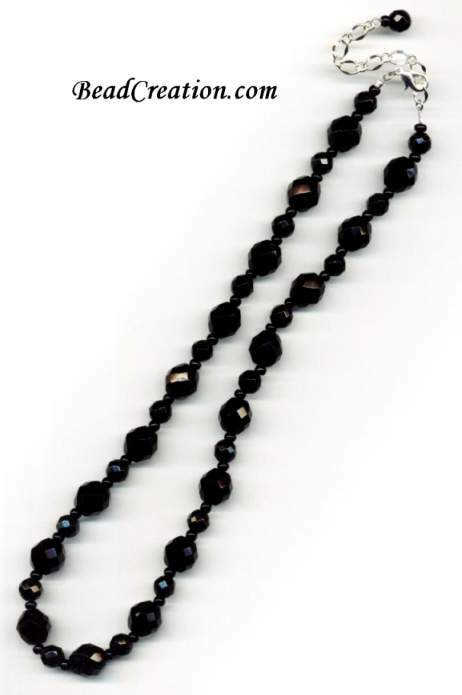 Made with top quality faceted fire polished black beads. A timeless look that can be worn with nearly every outfit. This necklace is adjustable from 19 - 21 inches. 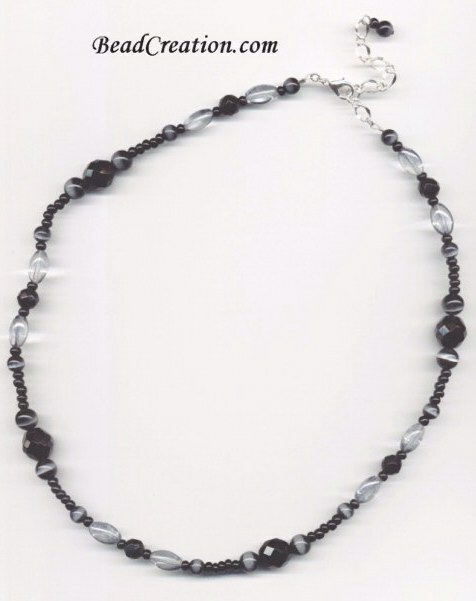 This necklace contains a charming mix of black cat eye beads, black faceted, and transparent black glass beads. This necklace is adjustable from 20 - 22 1/2 inches. A purrrfect fit every time. 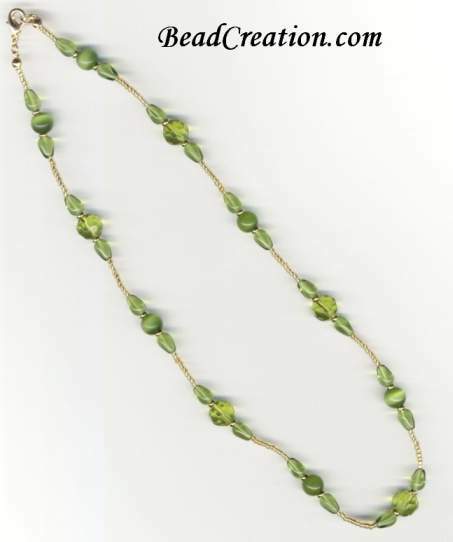 A complimentary mix of baby grass green glass beads on a strand of golden seed beads. A mix of colors that just make you feel happy! This necklace measures 20 inches in length. 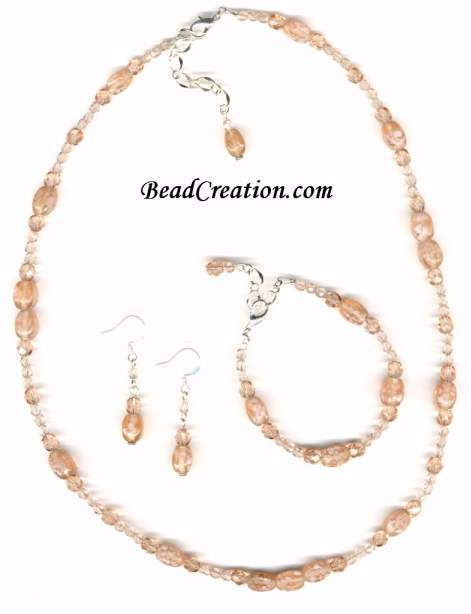 A gorgeous peachy pink color combine to create this sweet jewelry set. The necklace is adjustable from 22 - 24 inches. The bracelet is size friendly and adjusts from 7 - 8 inches. Both are a perfect fit every time! 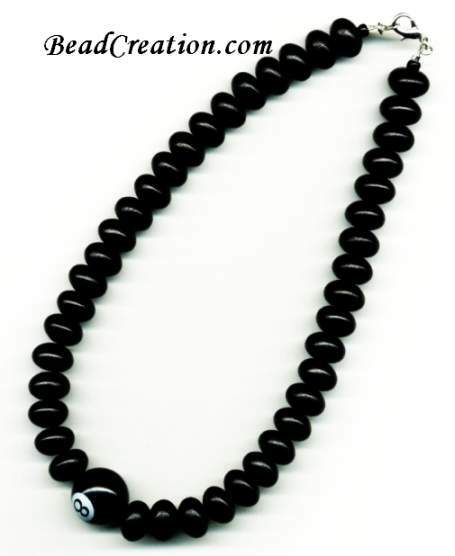 This necklace has been created using large black wooden beads and has an acrylic 8 ball at the center. A real fun piece of jewelry! Necklace measures 16 inches. 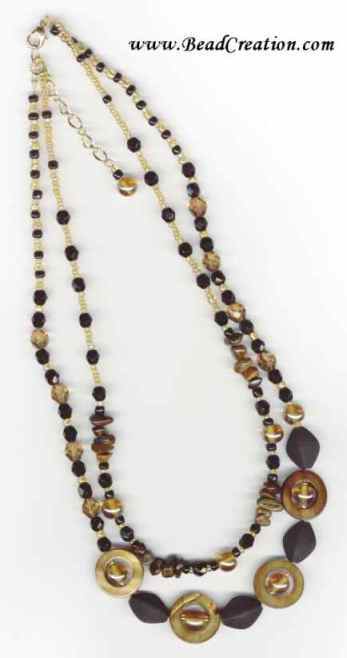 This beautiful piece is an interesting mix of glass, shell, and tigers eye natural stone in soft gold, warm browns, and black. 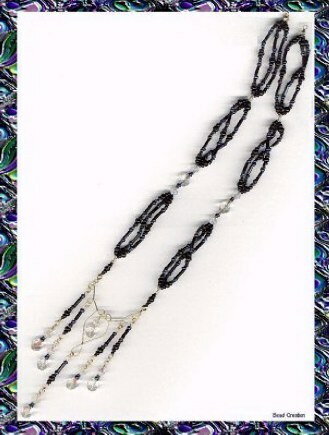 Black and Iridescent beaded necklace with facet cut iridescent glass accents. This piece is completed with a uniquely designed wire center. A beautiful focus point and a one of a kind creation. Perfect for that special night out!